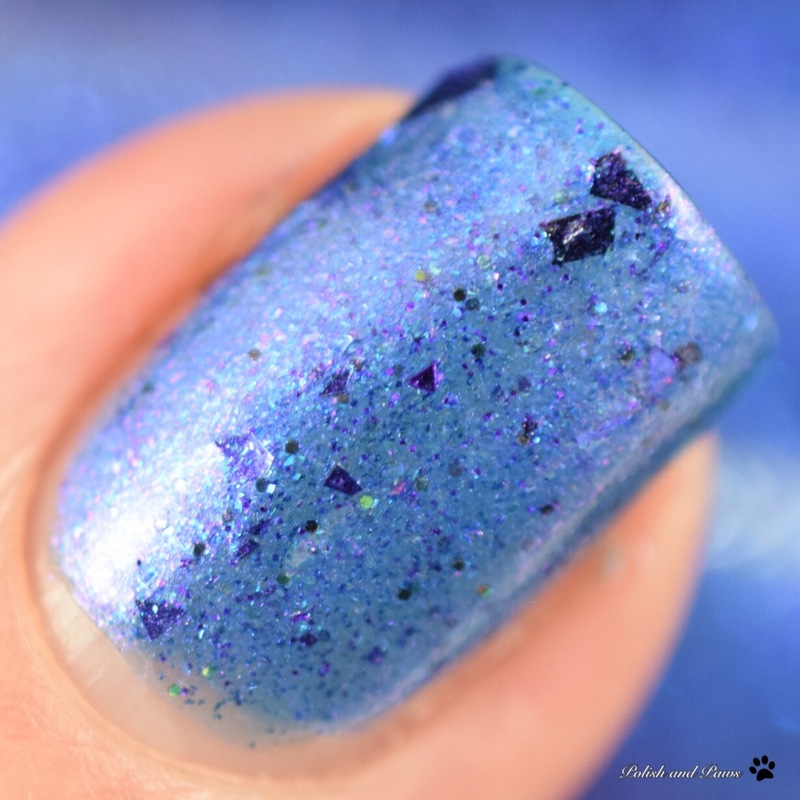 Bewitching is described as a medium blue polish with prominent purple shimmer, black and purple micro glitters, black and purple shreds, blue to purple shifting micro glitter, and sparkly dark blue micro glitter. This had a lovely smooth formula. 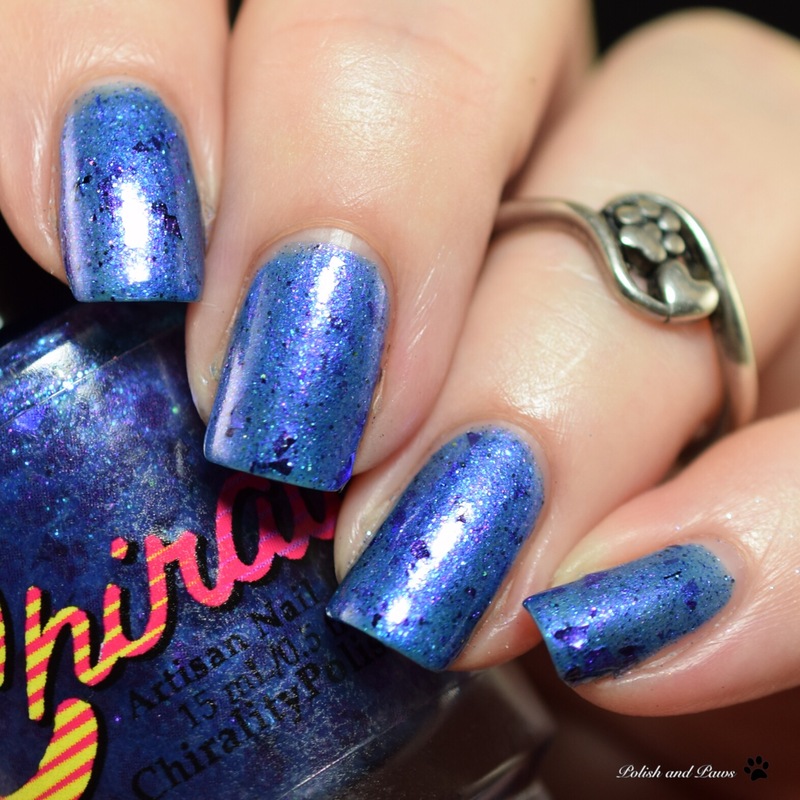 Applied effortlessly in 3 thin coats, sealed with glossy top coat. 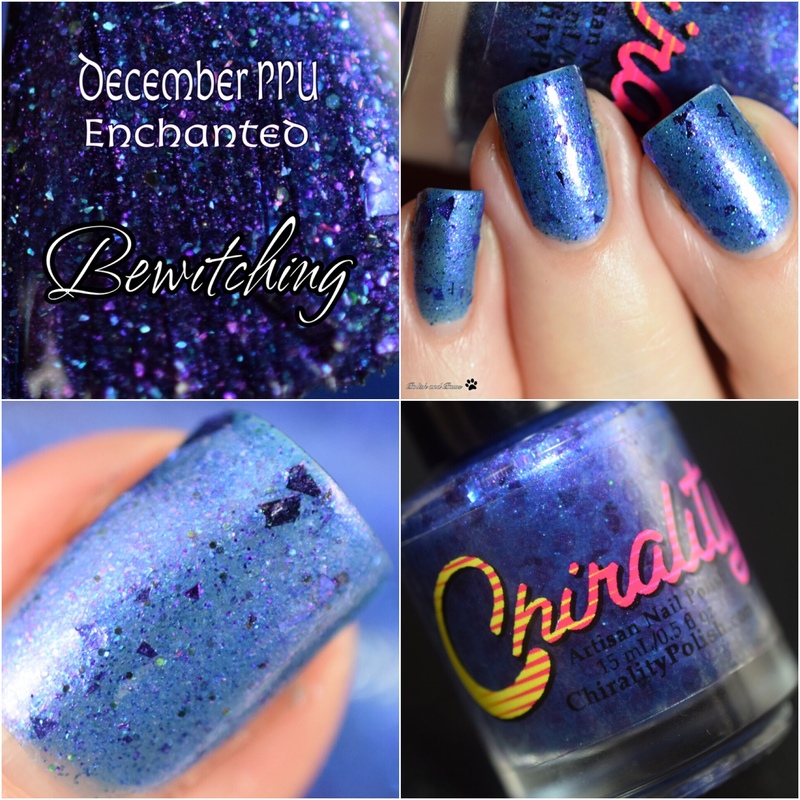 Bewitching will only be available through The Polish Pickup Friday, December 7th at 11am EST through Monday, December 10th at 11:59pm EST. It will retail for $10.00 and is capped at 46. 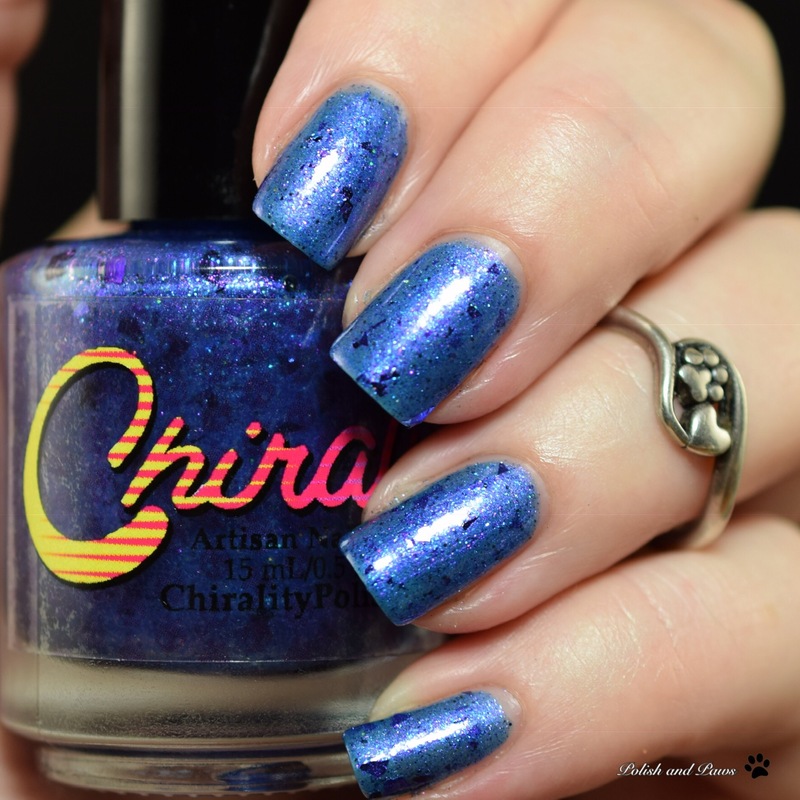 For more information on Chirality Polish check out the links below.